Where better to launch your GT convertible legend than Los Angeles? The new 2016 model year Mercedes-Benz SL bowed in at its world debut at the 2015 LA auto show ahead of a showroom launch in the spring. It's a modest nip 'n' tuck for the most stately of boulevard cruisers, with a mild refresh to the design, more powerful engines, the latest nine-speed automatic transmission and a host of small techincal upgrades. What else is new on the facelifted SL? 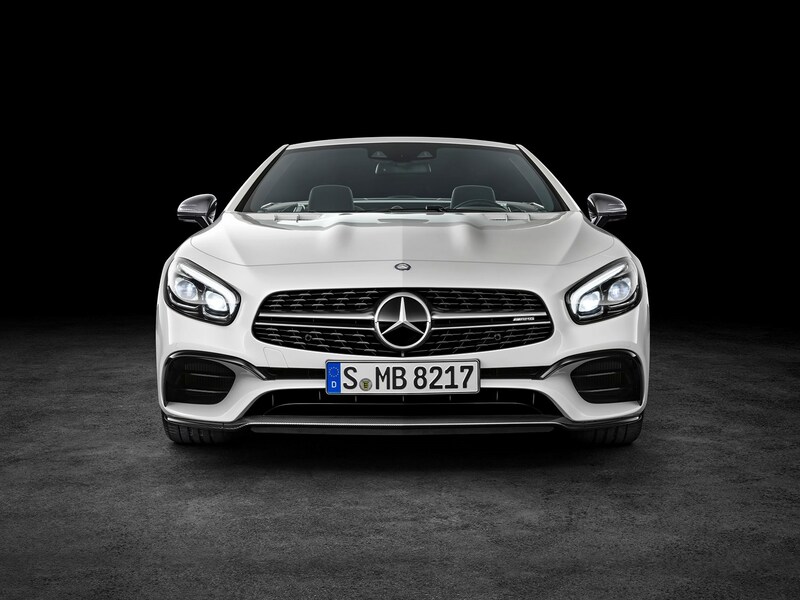 Note the new bumper, bonnet and headlamps on the 2016 model year SL; it's a subtly tweaked look, most noticeable at the front where the bulging bonnet power domes, LED headlamps and new radiator grille mark out the new car. All models now get the AMG styling kit as standard and there are new alloy wheel designs too. See the new Mercedes SL roadster family in UK showrooms by April 2016. And click here for more information on the range.